We are a leading Manufacturer of flight simulator retrofit products from New Delhi, India. Flight Simulator Retrofit Products High-performance, legacy-compatible cylinder position feedback system. How many times have you heard this: “Keep ‘em flying, we’ve got crews to train!” Easy enough to say, but hard to do if you’re struggling to maintain legacy electronics in your hydraulic flight simulator fleet and even harder when spare parts are difficult, if not impossible, to obtain due to obsolescence. That’s where Balluff comes in with a full line of retrofit magnetostrictive linear transducers, specifically designed for compatibility with legacy simulator hardware. 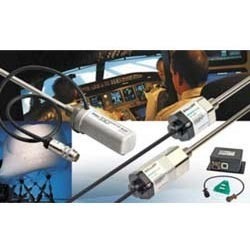 Looking for Flight Simulator Retrofit Products ?